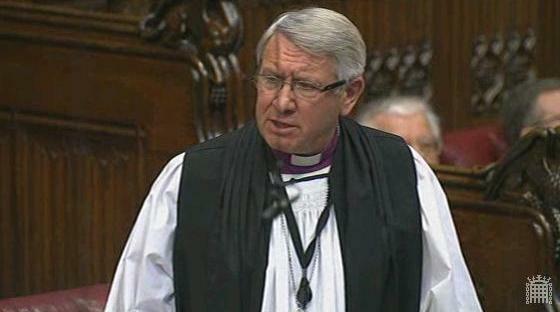 The Bishop of Leicester spoke during Report Stage of the Immigration Bill, speaking in favour of Baroness Lister’s Amendment 21. The amendment sought to reduce the threshold at which a child becomes a material factor in a parents’ immigration case from seven to four years. The amendment was not moved, with the Minister giving assurances that the Bill would not have a negative impact on the safeguarding or welfare of children in the United Kingdom. The Lord Bishop of Leicester: My Lords, I want just to assure your Lordships that as the noble Baroness, Lady Lister, suggested, I support Amendment 21 in spirit. I also support it in practice. It seems that the arguments, from any understanding of child development, are clearly overwhelming. I speak as a former chair of the Children’s Society and as a member of the commission that published the A Good Childhood report on behalf of the Children’s Society some four or five years ago, which was based on the evidence of more than 20,000 children, many of them very young children. They made it very clear, even at the age of five or six, that friendships were an absolutely primary part of their understanding of their well-being. This is documented and spelt out in that report, as indeed it is in many other more academic reports. I would be happy to support this amendment as it stands or even if it is reduced to fewer years. On the basis of any understanding of child development, the argument for a cut-off period of four years seems overwhelming. I hope the Minister will be able to respond positively to the amendment. The Lord Bishop of Leicester: My Lords, in view of the Minister’s clear endorsement of the policy of positive reinforcement of good behaviour, does he agree that we should be doing much more to promote a culture of mutual respect more widely in society so that the benefit of the positive work of many schools is not lost when our children step out of the school gate? Lord Nash: I agree entirely with the right reverend Prelate. I know that the church has a particularly strong record of promoting community cohesion across its schools. A culture of mutual respect and of respecting other races and religions is essential to a modern school. The Bishop of Chester asked Her Majesty’s Government: what is their estimate of the cost of family and relationship breakdown to the welfare budget. After the Minister’s reply, he followed up with a supplementary question. Lord Freud: My Lords, I am unable to give an official figure. A number of organisations have produced estimates—for example, the Relationships Foundation, at £45 billion-odd—but there is no consensus. The social security spend on lone parents and collecting child maintenance is just under £9 billion, but we must acknowledge that there are wider societal costs. Government have an important role to play in supporting families and working to ensure stable futures for children. 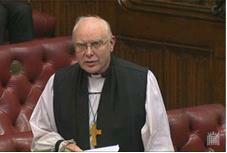 On 28th and 29th January 2014, the Bishop of St Albans took part in two votes on the Government’s Children and Families Bill, during its Report Stage. On 9th January 2014, the Bishop of Ripon and Leeds took part in Baroness Massey of Darwen’s debate on affordable childcare. The Lord Bishop of Ripon and Leeds: My Lords, I am very grateful indeed to the noble Baroness, Lady Massey of Darwen, for initiating this debate and for expressing so clearly the issues involved and, indeed still more, for her determined advocacy in this House and elsewhere of the rights and needs of children, especially those children who are most at risk within our society. Childcare provision in this country has grown like Topsy. As we have heard from a number of examples comparing our own experiences when we were young parents with those of our children as parents now, the need for childcare has become more and more crucial to both parents and children, and as a mainstay of our culture as well of our economy. However, there is such a complex system, which is part universal and part not, with childcare vouchers in their varied forms as an additional complication. Rather strangely, there is also the danger that universal credit will actually make the situation more, rather than less, complex. On 8th January 2014, the Bishop of Ripon and Leeds moved an amendment to the Anti-social Behaviour, Crime and Policing Bill, during its Report Stage. Amendment 18 would have removed the presumption that a child will be named publicly when they are involved in youth court proceedings relating to the new anti-social behaviour orders. Following assurances from the Minister, the amendment was withdrawn. 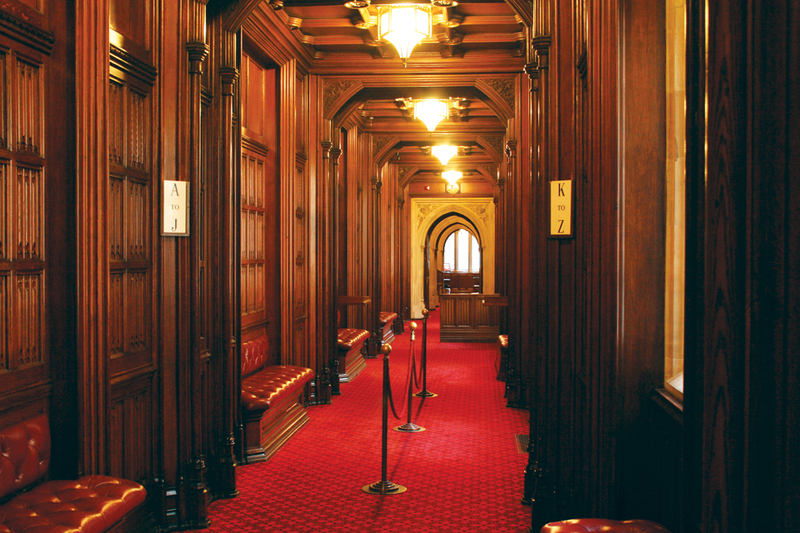 The Lord Bishop of Ripon and Leeds: My Lords, Amendments 18, 26 and 29 set out to remove the presumption that a child will be named publicly when they are involved in youth court proceedings relating to the new anti-social behaviour orders. I am very grateful to the Children’s Society, the Standing Committee on Youth Justice and others for concentrating my thoughts on this issue. On 8th January 2014, Baroness Perry of Southwark asked Her Majesty’s Government what assessment they have made of the remarks about “lucky children” made by the Chief Executive of Ofsted during the launch of that organisation’s Annual Report 2012–13.